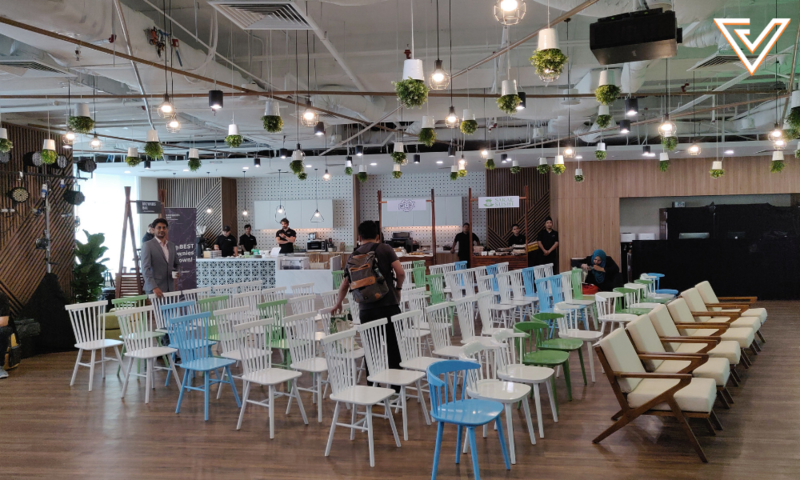 Grab has just opened their new 54,000-square-foot Regional Centre of Excellence (RCoE) in First Avenue, Petaling Jaya. 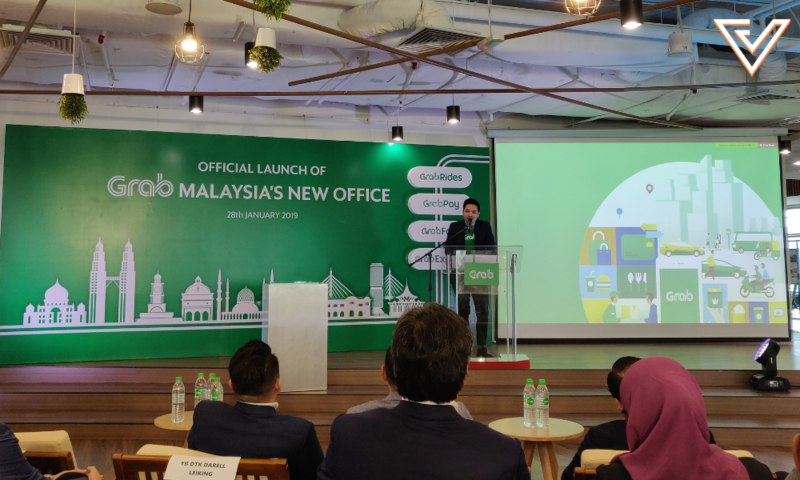 The office launch is part of Grab’s efforts to contribute to Malaysia’s National Policy on Industry 4.0 (Industry4WRD) and the National e-Commerce Strategic Roadmap (NeSR). 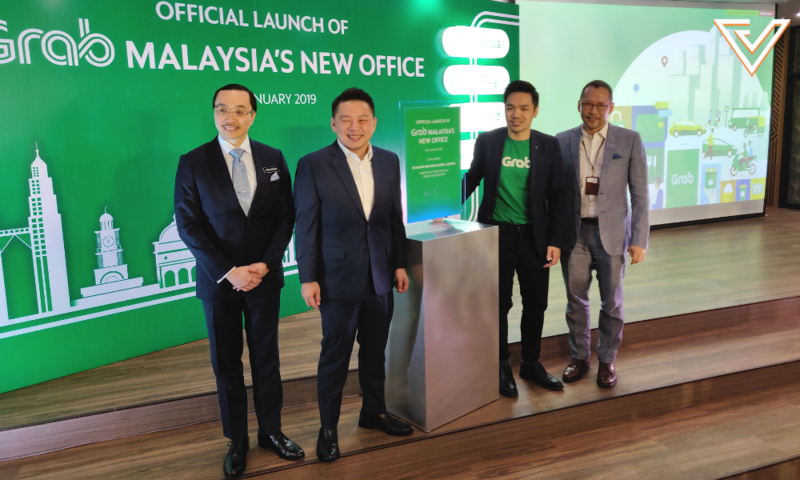 Ride-hailing giant Grab launched its new Regional Centre of Excellence (RCoE) in its newly expanded 54,000-square-foot office space today. The Centre of Excellence will house Grab’s core business strategy and operational functions, including legal, customer experience financial services and creative services. 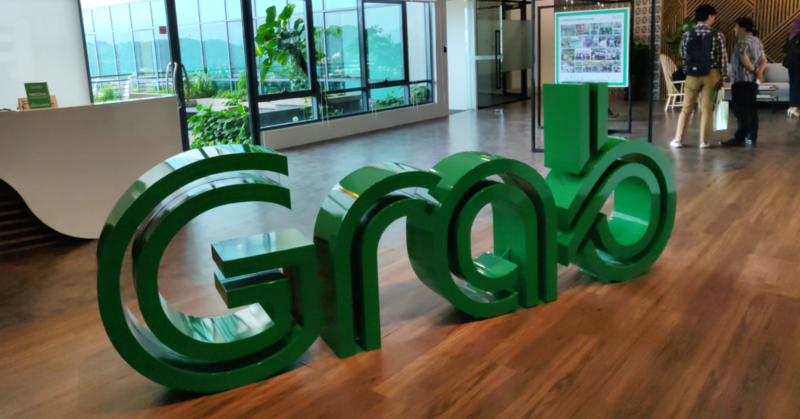 This comes hot on the heels of the launch of its R&D Centre in Malaysia just last month, the 7th in Grab’s global R&D footprint, in their bid to access and grow Malaysia’s tech talents. Grab’s cafeteria area turned into an event place. The launch was officiated by YB Datuk Ignatius Darell Leiking, Minister of International Trade and Industry. By launching its RCoE and R&D Centre in Malaysia, Grab looks to create at least 400 new jobs, bringing its total employees in Malaysia to 1,000. The RCoE will spearhead development of an in-house pool of professionals. With Grab’s presence in 336 cities across 8 countries, they get to access a regional perspective in offering solutions and implementing projects. Image taken at the launch. This office launches as part of Grab’s efforts to contribute to Malaysia’s National Policy on Industry 4.0 (Industry4WRD) and the National e-Commerce Strategic Roadmap (NeSR) to “attract, create and transform”. This involves attracting key enabling technologies to create the right digital ecosystem; transforming the manufacturing and services sectors into “agile sectors”, and achieving greater economic prosperity and societal well-being. Shared, seamless and smart mobility solution for all: With a range of transportation services available on their platform, Grab will be working closely with governments, public and private transportation providers to serve the first-mile-last-mile transportation needs of Malaysians. Better livelihoods and income-earning opportunities for driver-partners: Grab will continue work on offering more income-earning opportunities, financial support, better technology tools and skills training, and more community activities for them. Digital shop fronts for GrabFood, GrabRewards and GrabPay merchant partners: Grab will enable micro-entrepreneurs and small and medium-sized businesses to set up their digital presence on the Grab app and leverage their user base and distribution network to earn better business revenue. Access to GrabPlatform to help like-minded startups and partners scale their business: Partners can either build their services into GrabPlatform or integrate Grab’s technology and products into their own websites or apps. During his speech for the launch, Darell also said that it was time that Malaysians stop their old practices of the past where they do not encourage talents or merits, but encourage by the colour of people’s skin. Sean Goh speaking at the launch. “There is a lot more we can do to improve the daily lives of fellow Malaysians, and we want to partner closely with the Malaysian government to develop win-win regulations and policies that allow innovation to thrive, and best serve the interests of the larger Malaysian population,” Sean added. If you would like to find out more about Grab, you can check out their social media here and website here.